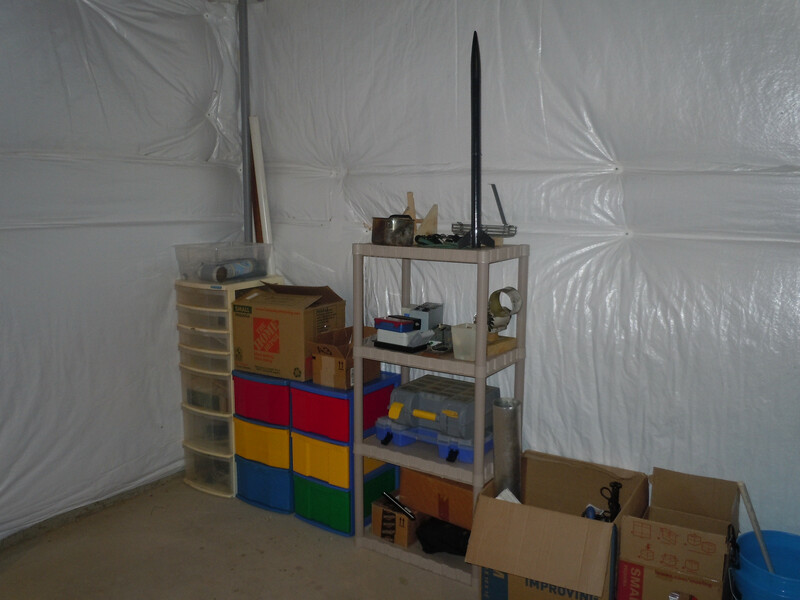 Adventures and ramblings in rocketry and embedded development. 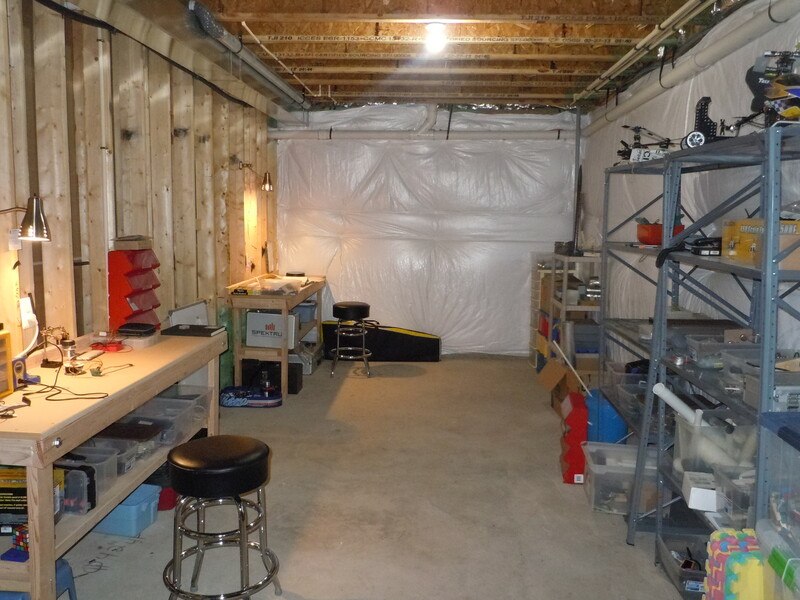 Decided i'd do a writeup on my workshop and equipment in it. 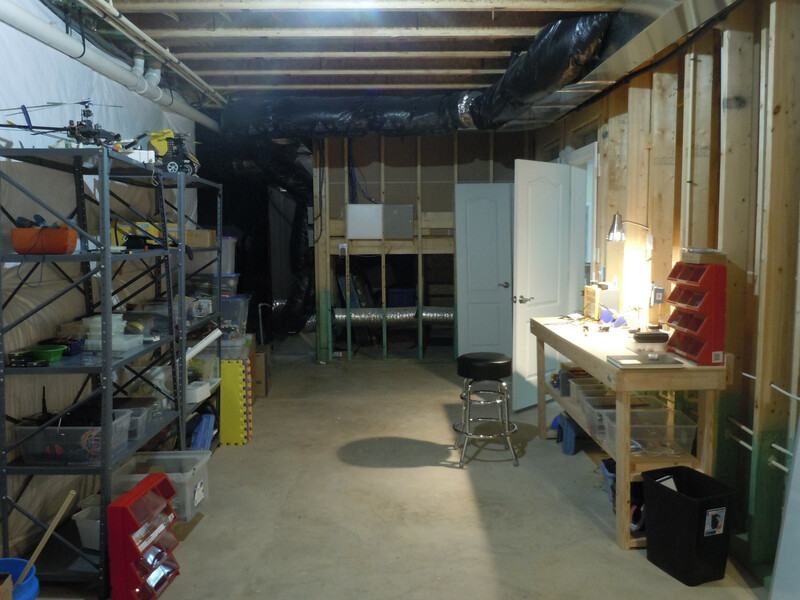 Im using the unfinished back room of the basement in the house which is about 100 square feet without storage shelves and workbenches. The workbenches are basic folding Home Depot's workbenches are nice and sturdy with a solid MDF work surface and an undershelf, Im planning to paint the MDF with a polyurethane sealant as so any water from the soldering iron cleaning sponge doesn't cause it to "fluff". The soldering iron i use is a Hakko FX888-D Soldering station, moving up from an old 30W Weller "Firestarter" it is amazing how much of a difference a good iron makes; heats up faster, holds temperature better, precise temperature range, finer tip, and best of all, so very comfy. 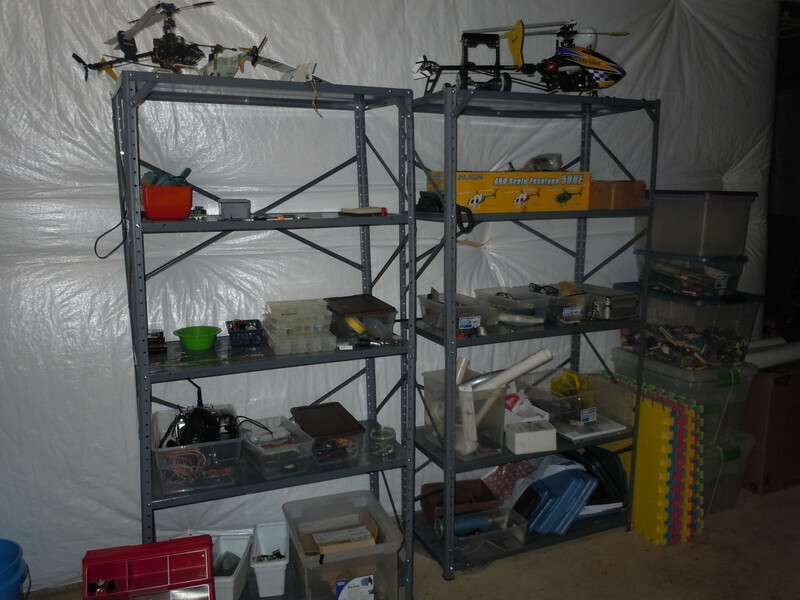 Ive got bins of electronic components and misc parts I've salvaged over the years, midsize and large RC helicopters (ill convert one into a drone), several Estes rockets, and a myriad range of wires and hardware. Im currently trying to figure out how to put part sorters above and behind my workbench for easy access during tinkering. My whole workshop is lit by LED bulbs as they don't give me headaches unlike some fluorescent and incandescent bulbs, further they don't have the flicker effect show up on video (i will be making workshop videos now). 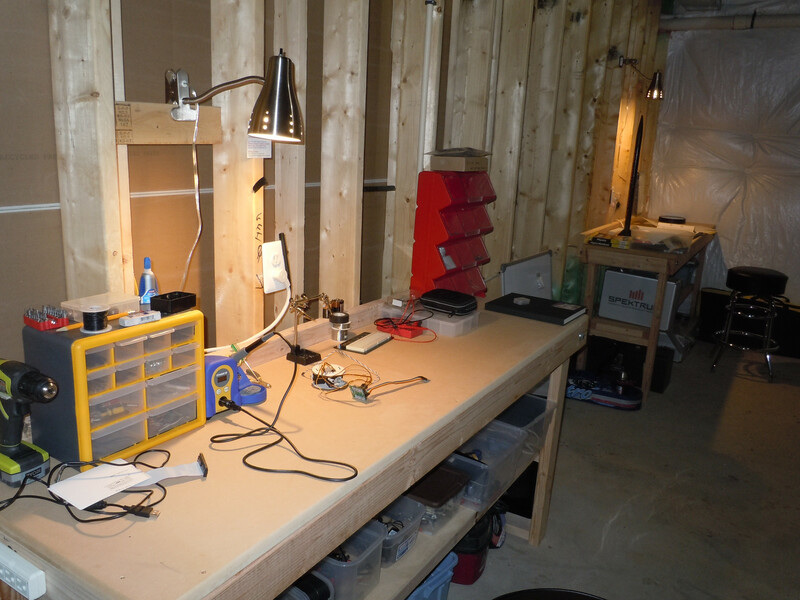 I use a Cree 1200lumen to light the workshop, and 2 phillips LED bulbs in soft light for the focused workbench lights. That's about all I have to say about it at the moment, I am planning on adding a workshop computer so I can program in the workshop and have a mobile computer.